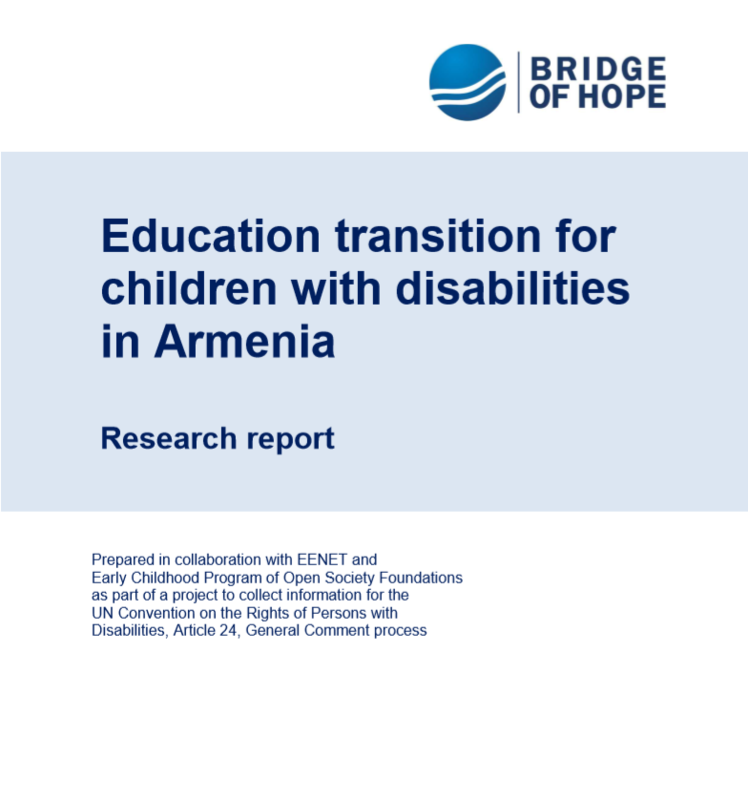 The research carried out by Bridge of Hope was a valuable opportunity to investigate in more depth some important stages in children’s development – their transition through different education levels. 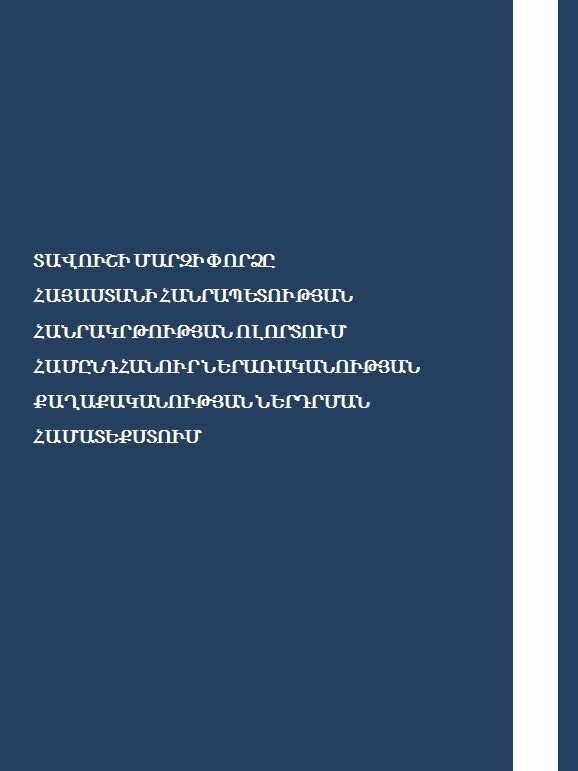 This is a topic that is receiving attention in Armenia for the first time. Transition is important for all children, and is of particular importance for children with disabilities and special educational needs (SEN). How to organize a smooth transition to a school? The school is a new stage for every child. How he/she will be involved the school? How can he/she demonstrate his / her potential, depends on an effective and smooth transition from family or kindergarten to school? 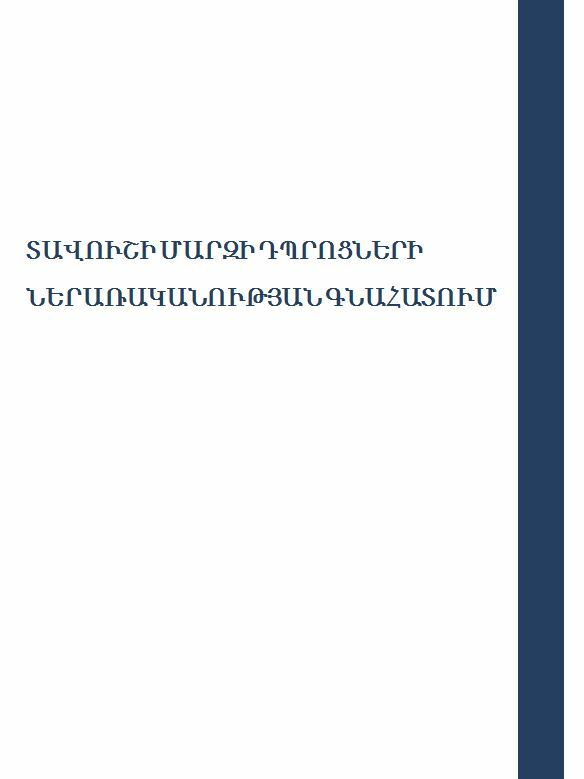 Please note: the guideline is available only in Armenian version. 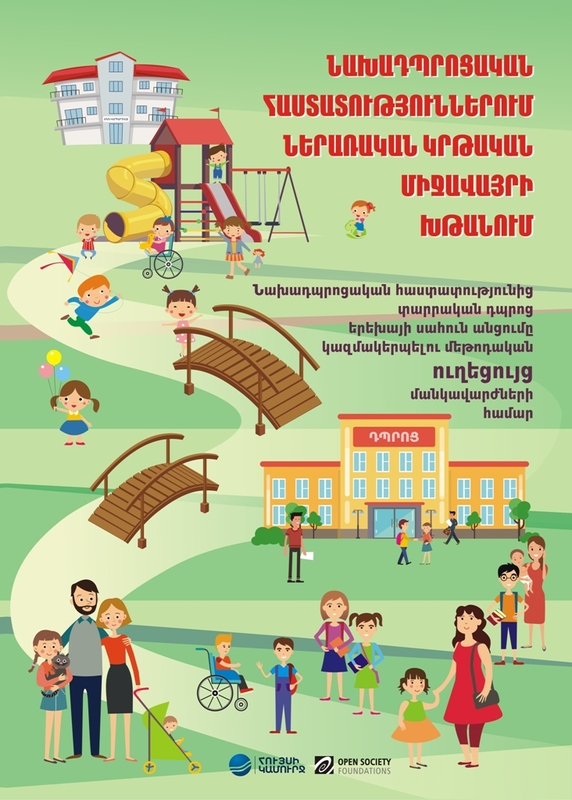 The approaches suggested in this guidance to organize a smooth transition for children from pre-school institutions to primary school is based on the recommendations and existing practice of the kindergartens and schools and is well-trained by international best practice. The main goal of the Guidance is to formulate a new culture of close collaboration between the two levels of education, ensuring that the child is always at the core of the planning process. The guidelines aim to provide advice and collaborative new approaches to teachers and educators to ensure a smooth transition to children, on the way to achieving results and succeeding. years, underwent trainings in quantitative and qualitative survey methods, sampling, interview management techniques, sociological data processing (coding and computer input), and got acquainted with the SPSS program. 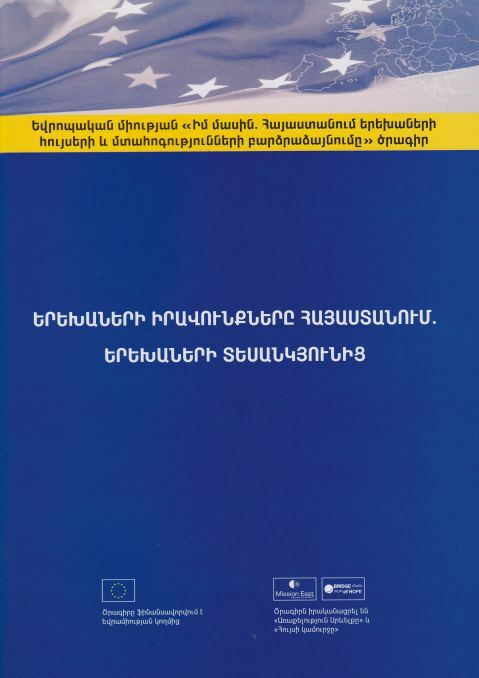 On the way to the establishment of a democratic state, it is important to raise the legal awareness of citizens. 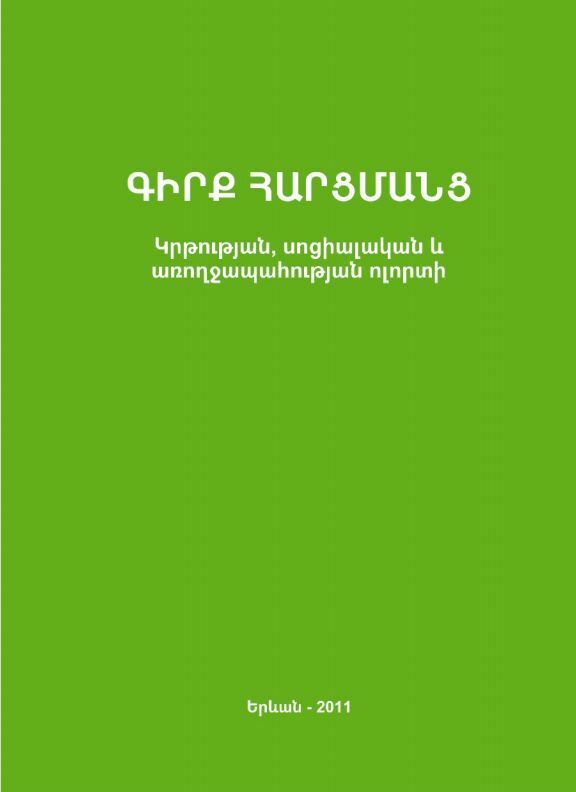 The Guide is answering the most frequently asked questions in three major areas – education, social protection and health care. At the same time, an exhaustive answer to these questions has been made to bring about the full information disseminated in the RA legislative field on each sphere. 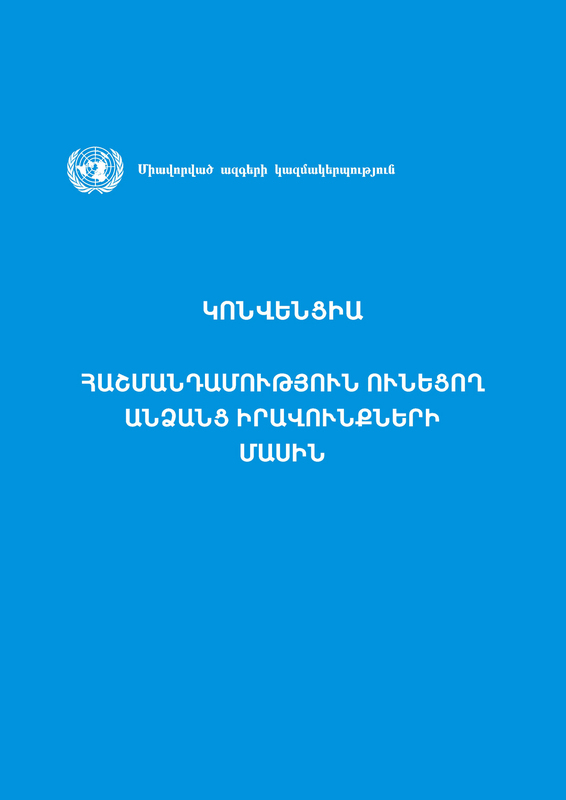 The Guide focuses on the protection of the rights of persons with disabilities. 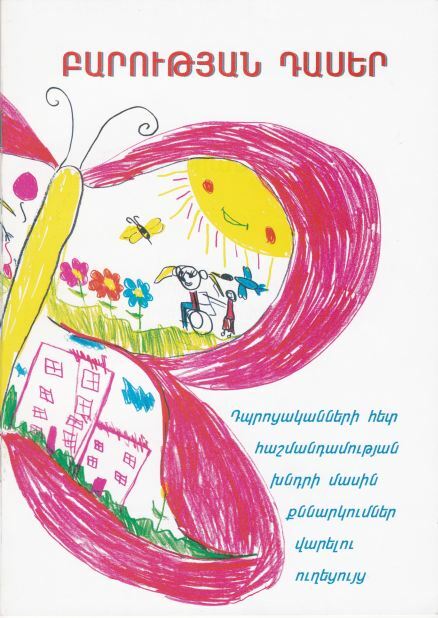 “Lessons of Kindness” is a series of seminars for schoolchildren, on problems of people with disabilities. The objective of the workshop is to inform the children about the issue, to promote good attitude towards their peers with disabilities and to develop respect for people’s diversity.